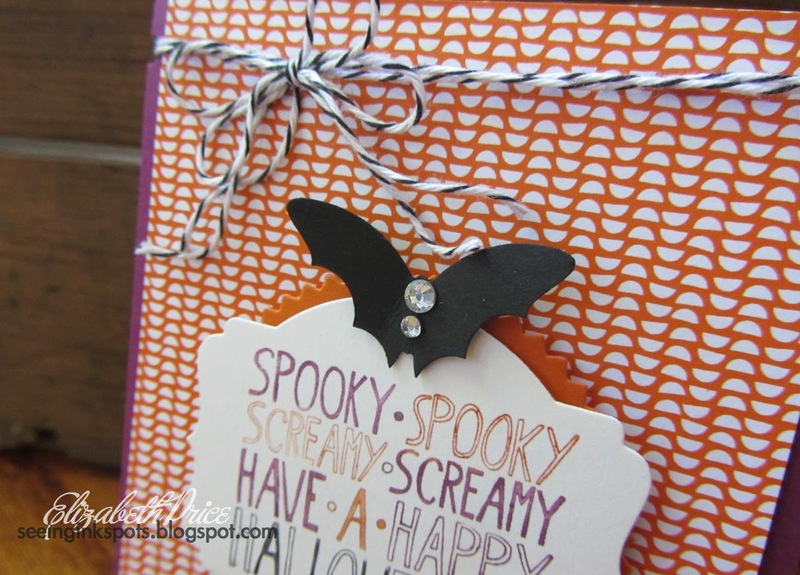 I made the coolest bat using the Elegant Butterfly and 1/2" Circle Punches. Just punch the butterfly first, then fold it in half, and last take some "bites" out of the bottom of the wings using the circle punch. Do you like that large banner? Can you guess where it's from? It's a leftover piece from the Chalkboard Banner Kit. 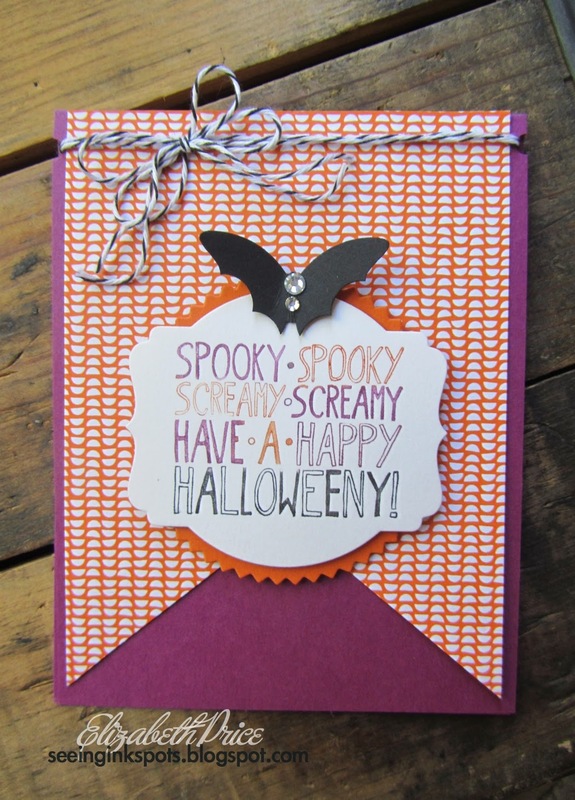 The Halloween greeting comes from the Mingle All the Way stamp set. 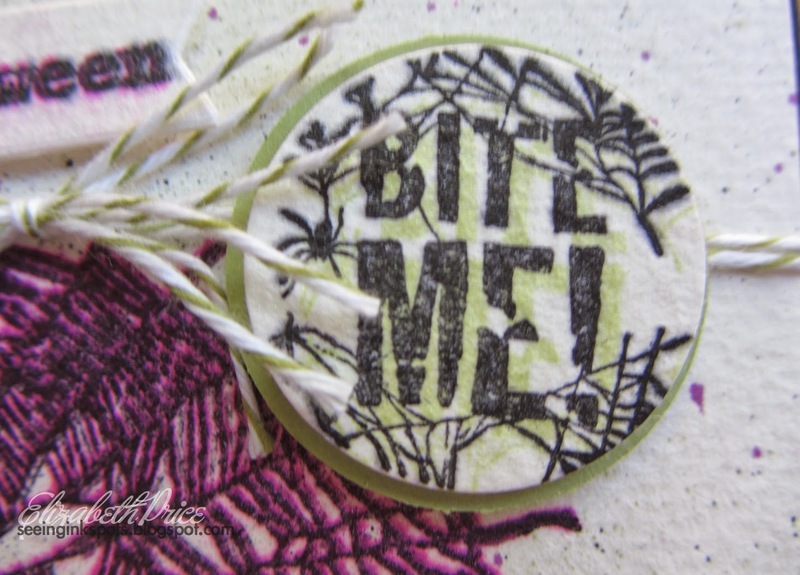 This simple 4" x 4" card used up some scraps that were on my stamp table. 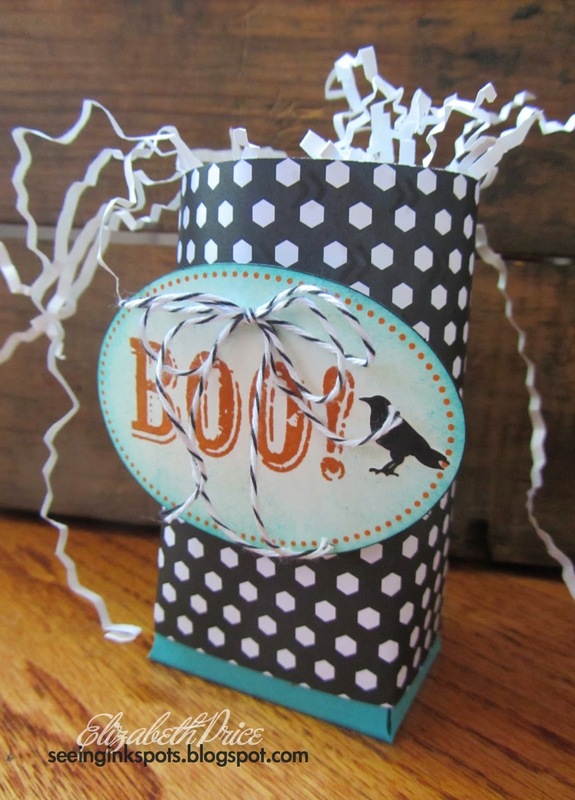 A bit from Paper Pumpkin and retired washi tape. The thick Bakers Twine is fabulous if you hadn't tried it. 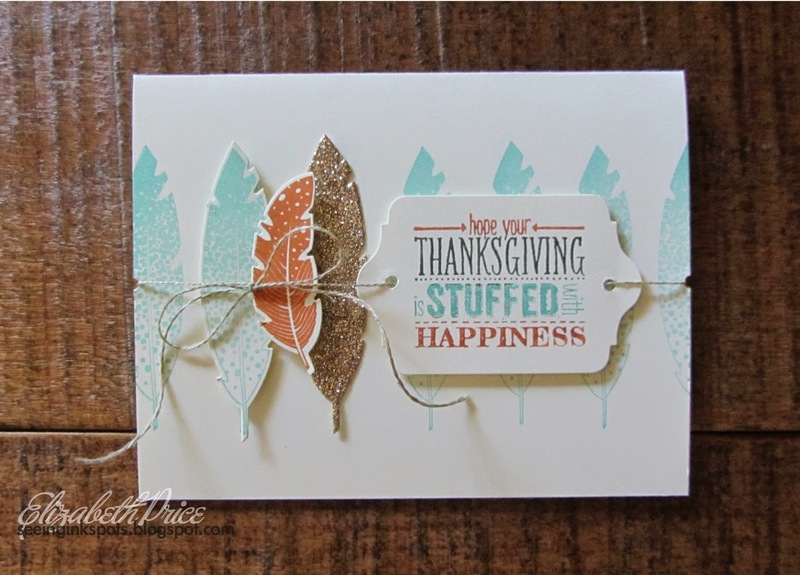 I recommend the olive--it's perfect for tying up Thanksgiving and Christmas packaging. I mentioned earlier last week that I made some rescue efforts to save what I could from a cool box I had made. 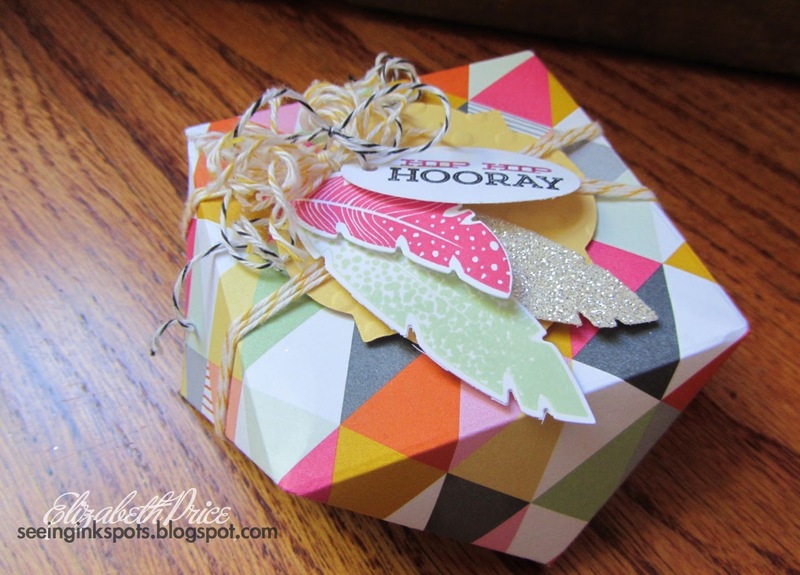 This is the cool faceted box I made. After spending some time making just the right embellishments and twine ties for the top I quickly set to taking a picture of my masterpiece. Not more than seconds after taking the photo I dropped the box on the floor and stepped right on it. I mean I squashed it like a bug! I saved what was worth saving and set out to make something else. Since then I have made a couple new faceted boxes--they are kind of addicting. Cut two 6" square pieces of cardstock or DSP. 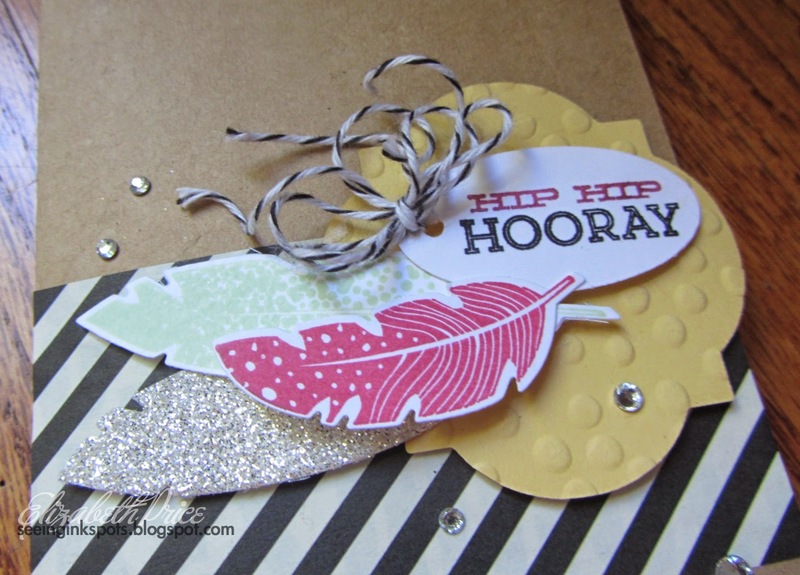 Using an Envelope Punch Board, punch and score at the 3" mark of each side. Using a Simple Score Tool, score all four sides of both 6" square pieces at 3/8". 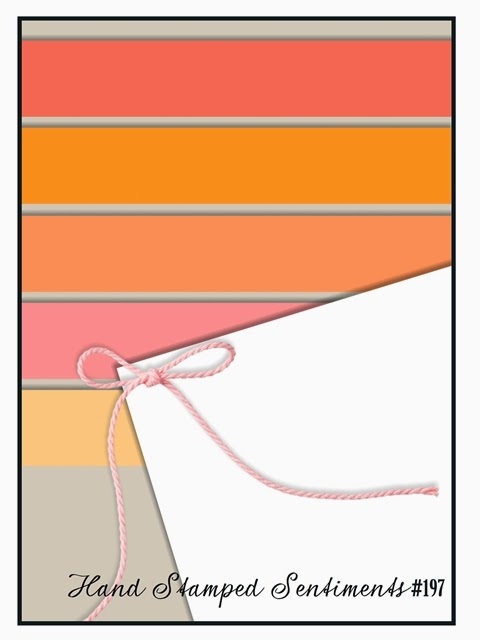 To one of the 6" square pieces add Sticky Strip to the four edges. Fold inward on all scorelines. Peel backin on Sticky Strip and assemble the box. 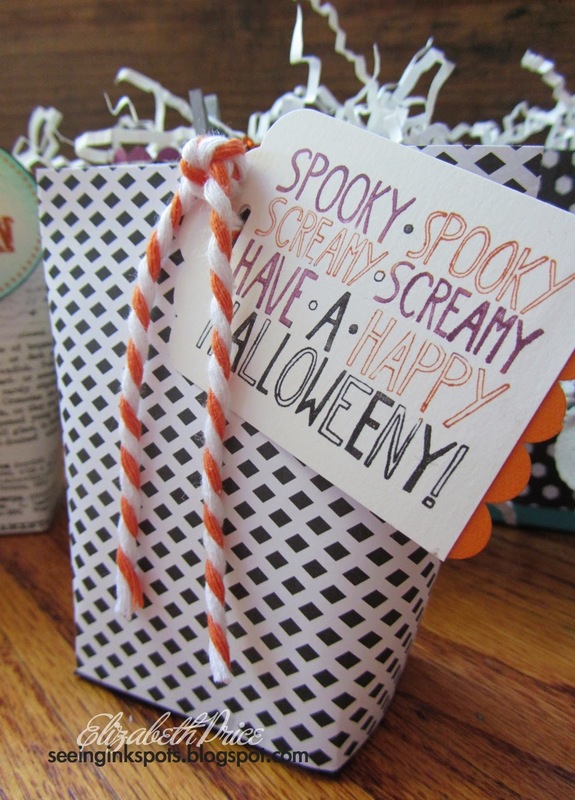 This type of treat holder is SUPER easy! 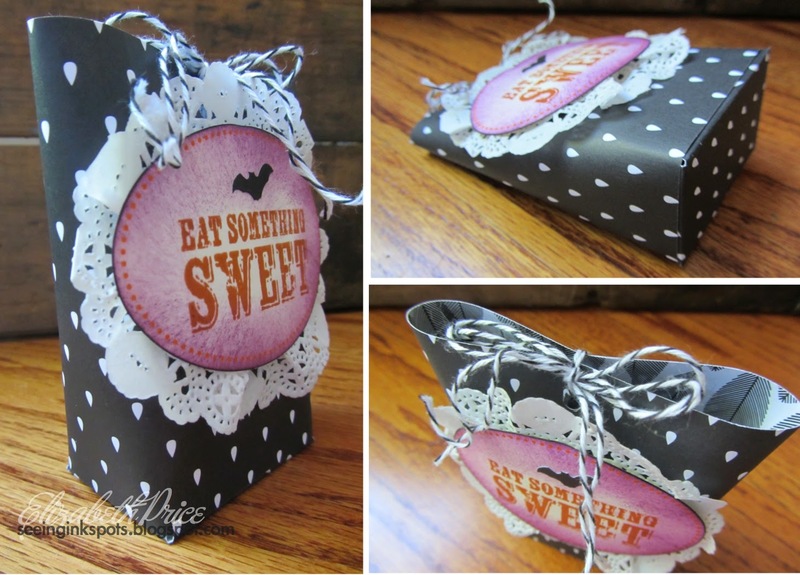 I made my "Box in a Bag" treats using the Envelope Punch Board. 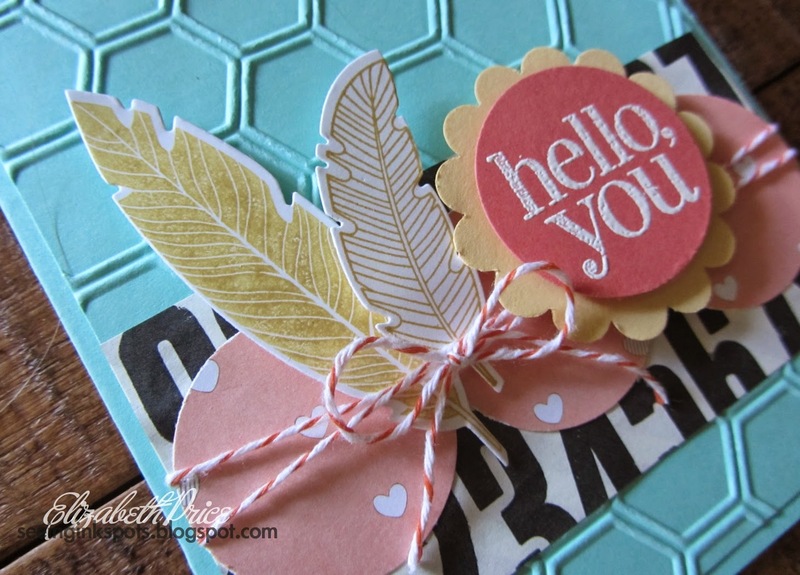 You heard me right--the Envelope Punch Board. It makes everything so easy. Go ahead and try it. 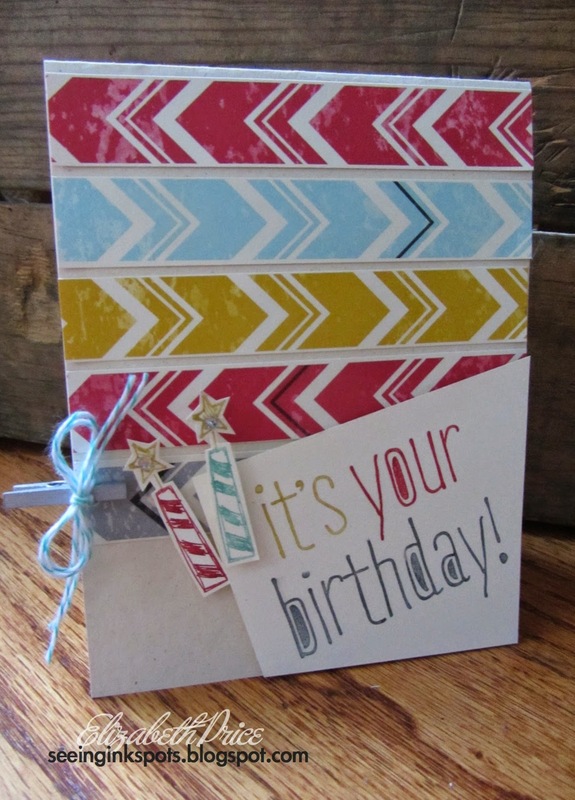 Cut a 3 1/2" square piece of card stock. Punch the first side at 1 1/2" and then score. Rotate to the second side and align the "foot" in the scoreline, punch, and then score. Rotate and repeat for the remaining to sides. Fold the corners upward on all four scorelines to form a funky/pointy box bottom. 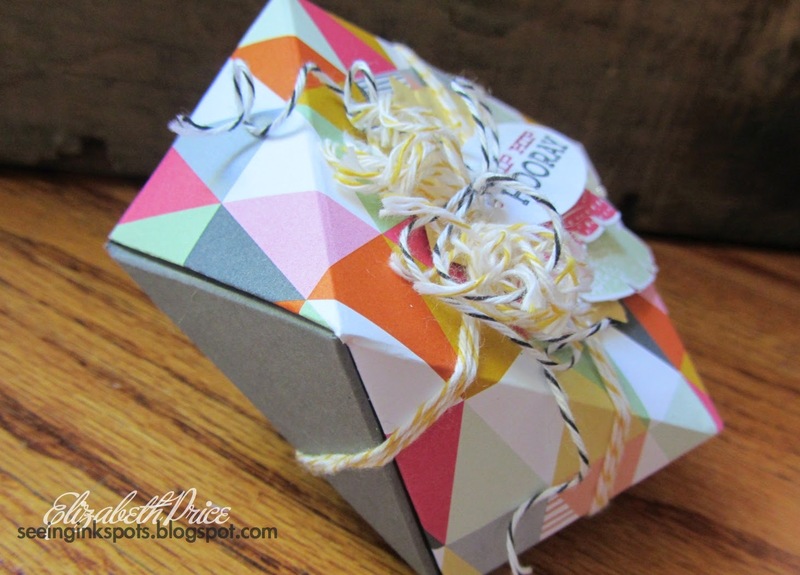 Wrap Sticky Strip around to hold the box like shape. Cut a piece of 4" x 8 1/2" DSP and add Sticky Strip one of the short ends. Be sure to put the tape on what will be the inside of the bag. Remove the backing on the folded box bottom. Align long edge on exposed Sticky Strip and wrap all the way around. Remove backing on short edge of DSP to secure and finish the bag. 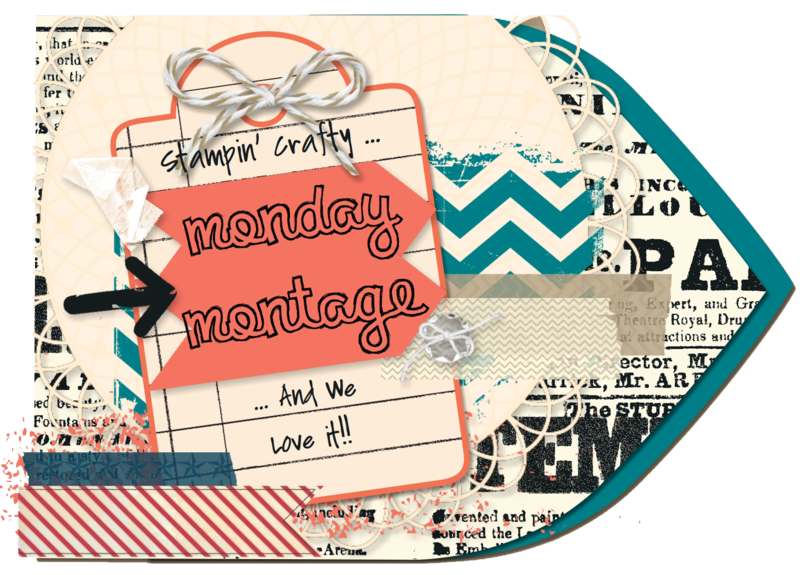 Check out this slanted sketch challenge hosted by Hand Stamped Sentiments. It's a bit different and refreshing. 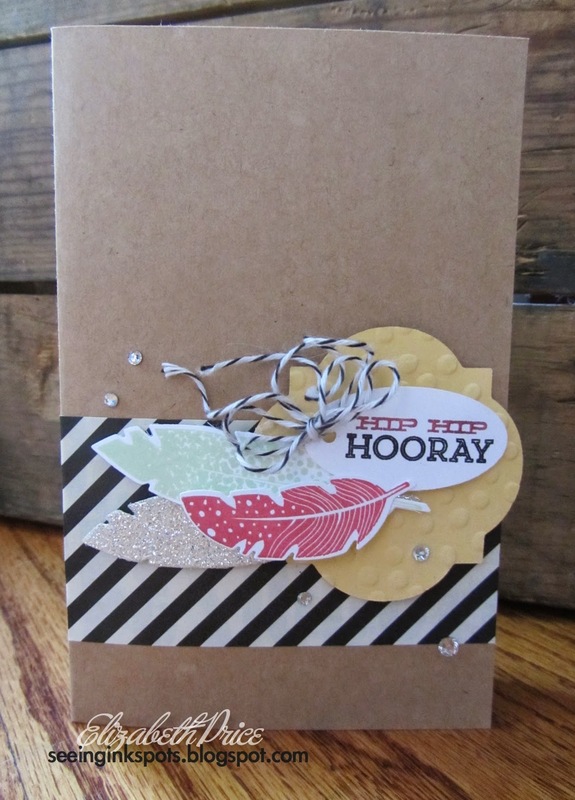 I paired the sketch with the Flashback pack of Designer Series Paper and the Big News stamp set. 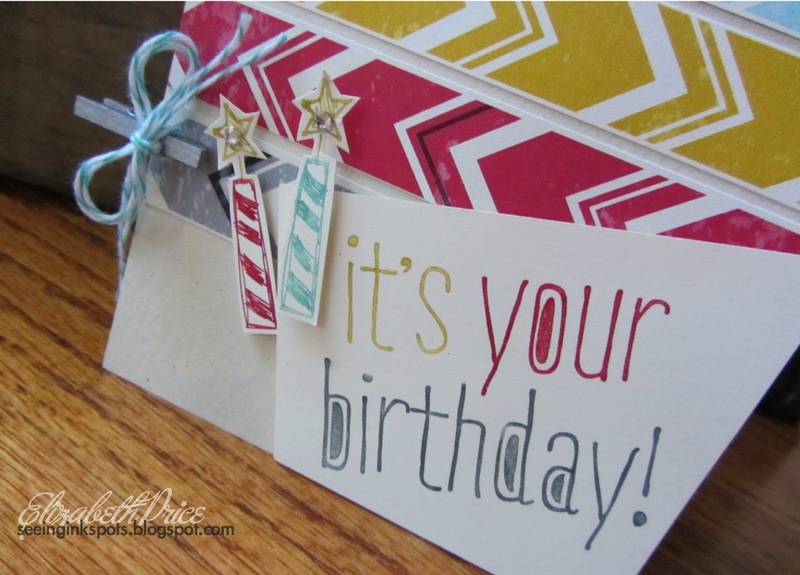 Is it any surprise that I inked up the birthday greeting image with three Stampin' Write Markers? No, it's no surprise because if you know me you know that is my "go to" technique. I love markers and adding multiple colors for a fast cool look. Rescue efforts you ask? Yes, you see I made this super cool box that I will show in a few days, that got photographed and the demolished. Right after taking a picture of the box I dropped it on the floor and then managed to step on it and squish the life right out of it. 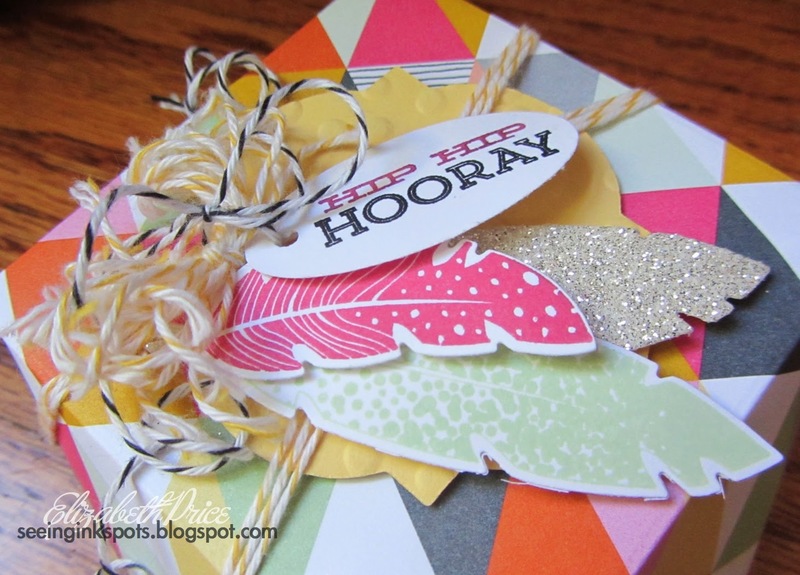 The box was beyond repair, so I yanked the embellishments off of the mangled mess and added them to a card front. 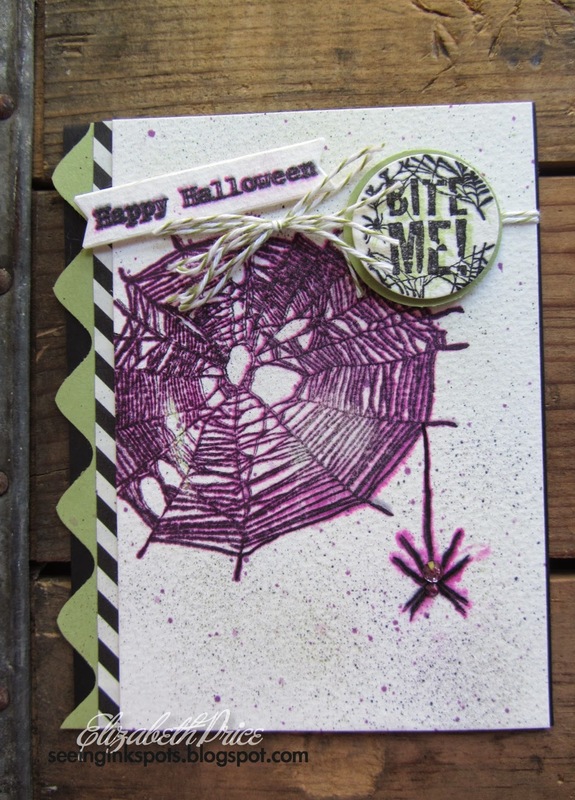 I love to stamp and create things for Halloween. There is room for smudges and crookedness and minor tweaks all because they enhance the style and appearance of what is being crafted. 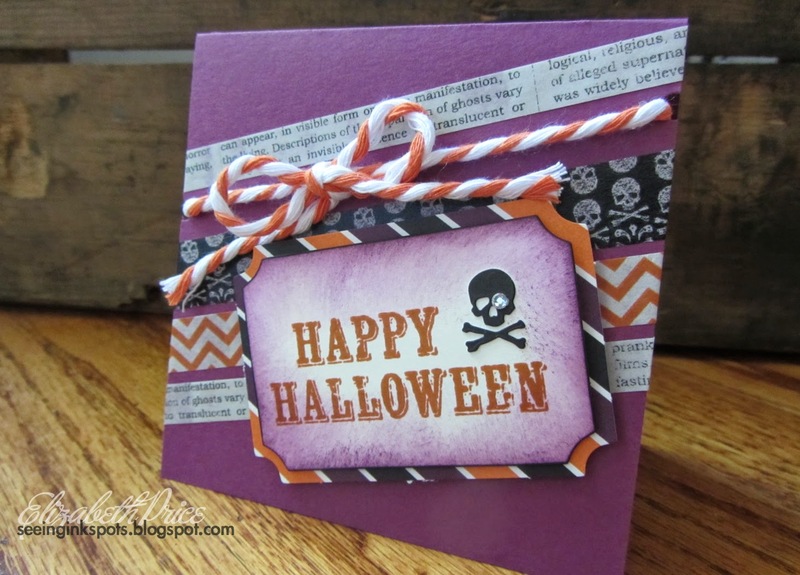 Hand Stamped Sentiments has a perfect color challenge for October and these hues make me smile. 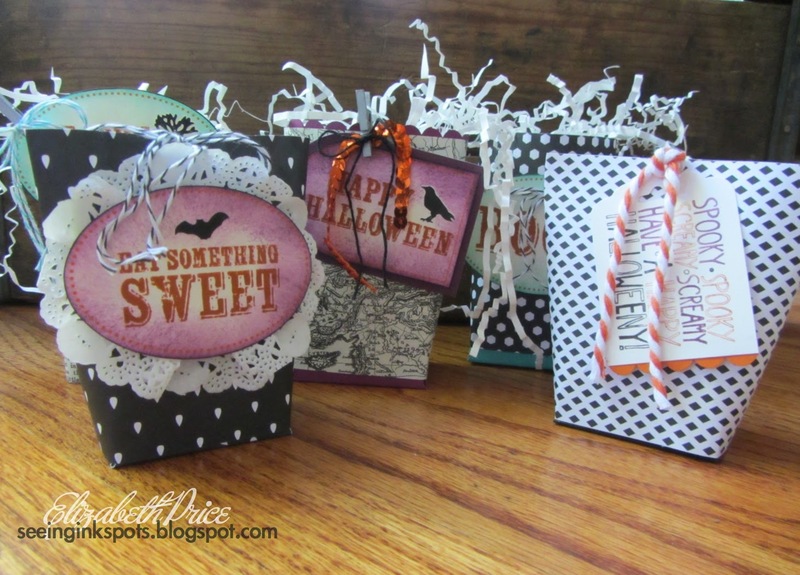 These gave me the green light to make a little something for Halloween that also includes a funky technique I have used in the past. I call it "bleeding images." Pretty gruesome, but perfect for the time of year. 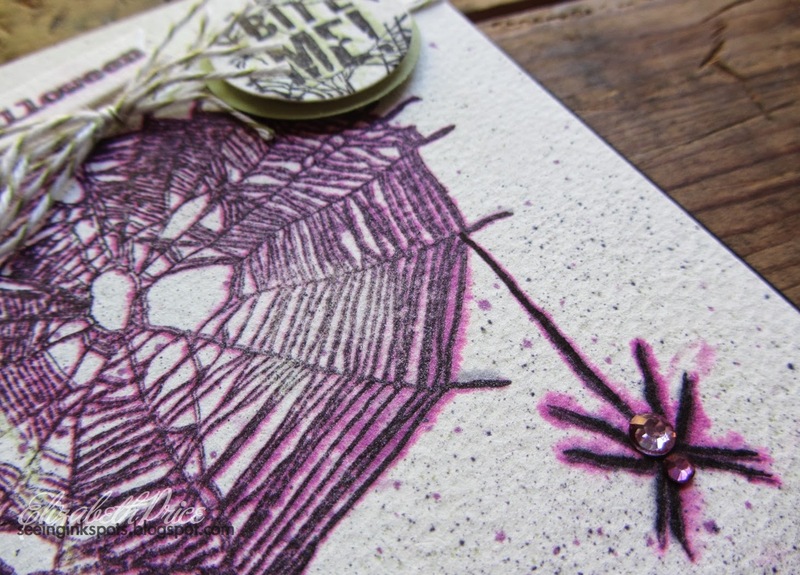 All you do is stamp your image using a dye based ink marker or pad. Then, spritz it with water and allow the image to bleed and wick then wait for the paper to dry completely. Next, clean your stamp and reink with a permanent ink like Jet Black Staz On. Align the image directly over the spritzed image and stamp again. It's a cool effect--try it! You know there are some cards that just scream out to you to copy and make. Well, for this card this was one of those moments. 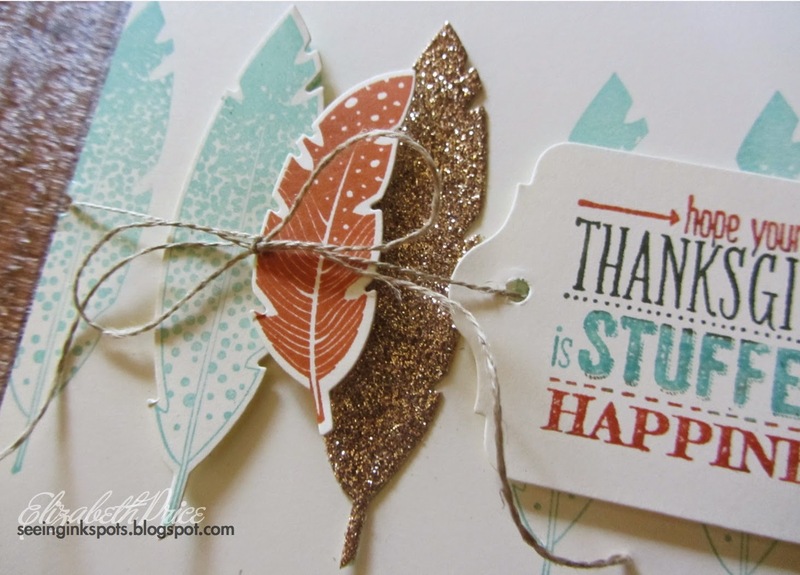 In fact I have many of those when I see cards made by Amy O'Neill. She made this card you can see here for a swap this past summer at Convention. I have to say I have a total "style crush" on Amy's work. I just love her layouts, combinations of prints and patterns, color palettes, and well everything. This card is not the first nor the last one I know I will case! Thanks Amy for being such a BIG INSPIRATION.